Time and time again I have written about Hollywood's creative bankruptcy when it comes to narratives with actors of color (and across the board, really, but even worse when it comes to actors of color). It's like those making all the power plays in Hollywood haven't ever taken a trip to their local library and bookstore, where they would clearly see the plethora of amazing narratives just waiting for their big screen debut. Literally, every other medium is light years ahead of the big screen, including Broadway, which, as I have written about before, continues to be the most inclusive medium out there--more than film and TV. Which should make it ripe for big screen adaptations. Hell, if Nine and Jersey Boys can be adapted for the big screen despite being wretched (the adaptations, not the stage musicals), so can something like FENCES, which is making its way to the big screen in December. 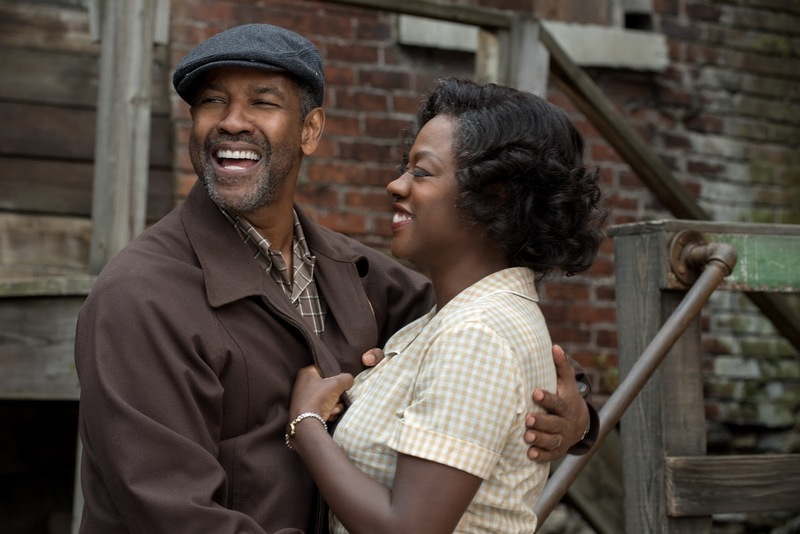 Viola Davis and Denzel Washington have reprised their Tony Award-winning roles as Rose and Troy, a married couple living in the 1950s and dealing with racial turmoil, shattered dreams, and familial drama. Written by August Wilson and premiering for the stage in 1983, this film adaptation is also directed by Washington and remains one of the most important black "slice of life" dramas in history, following in the footsteps as such classics as Lorraine Hansberry's A Raisin in the Sun. All this to say, I'm psyched. 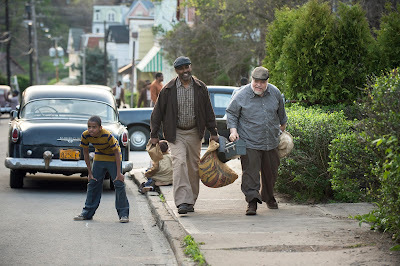 I'm psyched to see Washington behind the camera again (his directorial efforts of The Great Debaters and Antwone Fisher are criminally underrated). I'm psyched to see a black drama that sees its black protagonists as humans and not tragic victims. And I'm prematurely psyched about the potential of more black stage productions, those that highlight the diversity of our stories and characters, coming to the screen. Can Eclipsed be next, please and thank you?